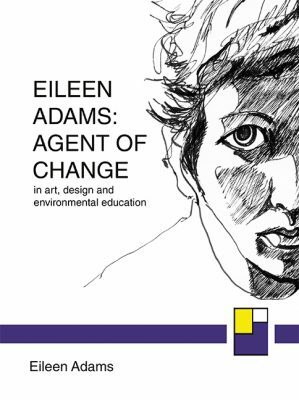 With this, her most recent publication, Eileen Adams has brought together a lifetime of experiences, experimentation, innovation and professional practice in the field of art, design and environmental education. The range of her work and depth of her commitment is clearly evident throughout, and as a statement of intention and aspiration this book is both a revelation and a call to arms. It stands resolutely as a declaration for change in attitudes, thinking, practice and policy-making, not from the standpoint of detached academicism, but from real engagement with people at all levels and in many differing situations. With the notion of visual education at its core her book is both profound and practical; a balance that is difficult to achieve and rarely accomplished with such consistency and authority. As an historical trace of a professional life dedicated to effecting change by engaging others in questioning the values and methods that underpin their practice, Eileen Adams is eloquent in her account and review of influences and events. The chronology of change provides a set of touchstones against which the evolution of art, design and environmental education in the twentieth and twenty-first centuries may be judged. The manner in which these are articulated also exposes the fault lines and shortcomings that pervade this area of education to the present day. The book is an accessible, well-illustrated and fully referenced resource that should, in every sense, be within reach of students, teachers, policy makers, planners and all who have a vested interest in teaching, learning ad the belief that seeing and understanding matters. With its publication, Eileen Adams has confirmed herself within a select group of teacher / educators whose vision is matched by action and who can legitimately claim to have made a difference. There is no doubt about the significance of her agency. The book is a measure of successes, possibilities, activities, investigations and outcomes that constitute not only ways of seeing, but also ways of being, and in this lies its true value. These different versions are also available from all good book stores (eg Waterstones) and online book sellers (eg BOOKS etc).